Home / Political News / Current News / NC lost its democratic path? NC lost its democratic path? It seems the Nepali Congress, the main opposition party in the parliament, has lost its democratic path following the failure of its plan to topple the present government two months back. Party president SherBahadurDeuba’s plan to topple the government by provoking Maoist boss Pushpa Kamal Dahal had failed when the latter refused to become prime minister of majority at the last moment. Interestingly, Deuba had made the move immediately after he returned home from his Indian trip and many suspected he did all that at the Indian instruction. His move was criticized from within the party while it also tarnished the image of NC as pro-Indian party. 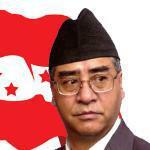 Moreover, Deuba became tactically weak within the party following his failed attempt to pull down the government. The Hearing Committee led by NC senior leader KulBahadurGurung is likely to approve all the names recommended for the appointment of justices and ambassadors within two weeks. Had NC agreed on forming the 15-member Parliament Hearing Committee earlier, it would have been easier to run the House business and formulate laws to implement the constitution promulgated under the leadership of late NC president SushilKoirala. NC president Deubaalso went to meet the UDF leaders who are now organizing relay fasting and expressed solidarity with their demands. Now NC is disturbing the House demanding full payment to the earthquake victims.. On the whole, the acts of NC leaders look like childish act. NC seems to have lost its path. Meanwhile, NC presidentDeuba is still unable to nominate the officer bearers in the central committee of the party, Though he nominated a few NC leaders as central committee members of the party, he is yet to appoint vice president, a general secretary and secretary in the executive central committee of the party. Next Why Pushpakamal Dahal cancelled his visit to Australia?